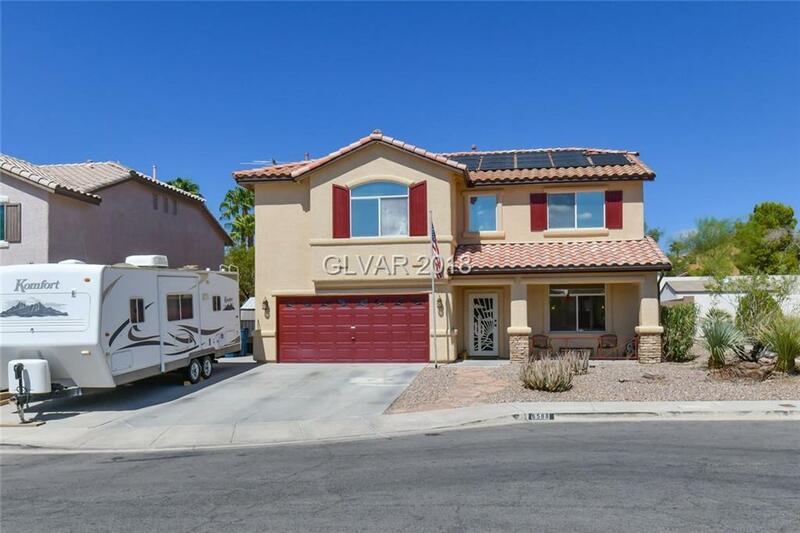 Beautiful 2 story cul de sac home with RV parking, inground solar heated pool, covered patio,& plenty of cool decking! Kit. has dark cabinets & lots of work space, stainless appliances, breakfast bar and solid surface countertops! Master bdrm has huge W/I closet and bath with shower, dual vanities & sinks! Secondary bdrms are very spacious and have ceiling fans! Front living room, & family room w/fireplace overlooking beautiful backyard! Directions: From Sahara And Treeline Go North To Right On S. Grass Meadow Dr. Then Right To Candy Apple Circle.